Many people associate scoliosis (an abnormal curve in the spine) with children, but adults can also develop the condition. It is important to understand this because this condition in children and in adults requires differing management. For example, if you were diagnosed as a child, there’s a good chance you had to wear a plastic brace to correct the curvature of the spine. Scoliosis is considered present anytime the curvature of the spine is sideways by at least 10 degrees. When the majority of the curve is in the upper back or thoracic region, the person may also have a condition called kyphosis, or hunchback. This is one of the most severe types that we treat. While there are certainly risk factors that may contribute to scoliosis, this condition can develop seemingly out of the blue. In many cases, it is quite clear that a child has the condition, as their spine will be noticeable curved. To confirm this suspicion, Dr. Atwater may want to have several imaging tests performed, including x-rays. 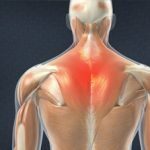 It is possible that there may be an underlying condition causing this curvature of the spine, such as a tumor, cerebral palsy, or muscular dystrophy, rheumatoid arthritis, or spina bifida. How Can I Manage Scoliosis? The management of scoliosis will depend on a host of factors, including the age of the patient, pre-existing conditions, medical history, and any specific symptoms. For some people, no treatment will be necessary, as the spine will eventually correct itself. Others will require some level of care or treatment, either nonsurgical or surgical. 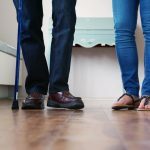 However, the percentage of people who will require surgery is very small. Generally, scoliosis is managed through observation, bracing, and as a last resort, surgery. If the curvature of the spine is mild, x-rays and observation will likely be the route taken. By taking measurements and x-rays, we will be able to compare a patient’s progression, making any adjustments to the treatment plan if necessary. Bracing is often recommended in adolescent cases, as these individuals are at the highest risk of the condition worsening. This type of treatment is most effective if tried in the early stages, which is why it is important you or your child are evaluated by a doctor right away if you suspect scoliosis. People with kyphosis or hunchback may also benefit from bracing when done in conjunction with light physical exercise and physical therapy to improve muscle strength. 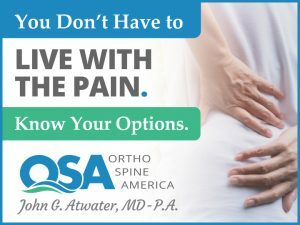 To discuss these treatment options or your specific scoliosis symptoms, please contact Dr. Atwater at Ortho Spine America.